her thin body. In semi-consciousness I see her walking along on a dirt path or sitting upon a broken rock wall with her chin resting on her pulled-up knees. I see her always from behind, at first. Either I am walking through the woods and come upon the path and the girl unexpectedly, or I am wandering amid a messy Victorian-ish garden and I catch sight of her through a cascade of vines. As I approach, she turns and looks at me through the corner of her green-gold eye, then she fades into nothing. And even though I try to fight it—try to stay with the halfdream—sleep arrives…or slips away from me. I know this girl’s name and I know her story. I know it because I am her creator. She came to life in a novel that I began months ago while taking a two-hour train ride along the Hudson River. The story began without planning, without warning, as inexorable as an avalanche. 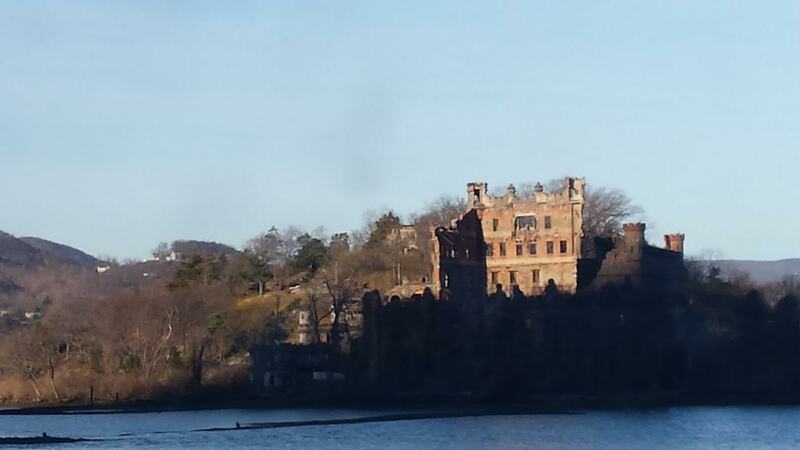 A magic combination of synapses fired in my brain, triggered by the images I saw outside the train window—a massive old house half-hidden on a rocky outcropping on the river, a strange stone fountain covered in dead vines, a ruined castle, and a wooden rowboat half buried in sand and—bam! My writer’s brain went into overdrive. I wrote all the way into the city and all the way back home. The intricate weaving of mystery and history and horror frantically vomiting itself onto the blank pages of my notebook. And then, once I returned to my routine, I found little time for writing. The next few days passed quickly, then the next few weeks, and then…well, here we are. She doesn’t bother me while I’m working, kind little haunting-thing that she is. She usually peeks in the window while I’m folding the laundry. Or sits in the corner chair in the kitchen while I make dinner, kicking her feet and silently waiting. Okay, okay…I’ll make time, I promise. Last night I woke groggily after having fallen asleep on the family room couch and stumbled upstairs to bed. As I quickly drifted off, her ice-red hair flashed in the mirror hanging on the closet door. I tried to focus my eyes and mind and force her to materialize, but sleep won out. And just before I opened my eyes this morning, I found myself on the wooded path. As I approached, I saw that she was not alone—the dead young man who also sits at the center of the novel was with her. They both ignored me. I stood beside them and they seemed not to see me. I opened my mouth to speak and no words came out. It was a horrible feeling—as if I no longer belonged with them, no longer existed. Then today I found myself in the middle of a rainy afternoon, all caught up on the laundry and the latest episode of my current favorite creepy drama (curse you cable TV). Cleaning out my purse, I happened to open my writer’s notebook to the page where I began the original story. That’s all I’d written? I was sure I’d gotten farther. Of course, I knew what should happen, what I intended to happen, but when I let the next scenes play out in my writer’s mind I found that the plot was now altered. My girl wasn’t who I thought she’d been at all. Her lips curled into a sly smile. She looked at me out of the corner of her gold-green eye. Clever, clever little story ghost. Haunt me any time. Yesterday, Saturday, in the middle of completing a complicated and extensive electronic travel expense report for my “day job,” I got an IDEA. A blessed writing idea. Something that I saw online, on my phone, or thought of as I waited for receipt images to upload, or heard outside my window caused that elusive lightbulb to flare into life. I perked up immediately, sat taller in my chair, felt my heartrate increase, always so ecstatic to know that my creativity hadn’t died a tragic and permanent death in the struggle between being true to my writing soul and making financial ends meet. “I’ll just finish the report and get writing,” I thought happily. I did finish the report. Then I took my dogs outside. Then vacuumed. Then caught up on a BBC show I was fascinated with. Then threw in some laundry. Then showered and went out to dinner. Then came home and finished the book I began during my recent work travel before falling blissfully to sleep. It wasn’t until this morning that I remembered the writing IDEA. More precisely, I remembered that I’d HAD an idea. Frantically I tried to back track—what, precisely had I been doing when I got the IDEA? I went back and read the emails I’d referred to. I visited Google maps. I pulled out my receipts. I looked at the photos on my phone (since I’d had to take pictures of paper receipts for upload). I sat in my desk chair and looked around my office at the papers and books surrounding the space. I listened to the unknown, insistently-singing bird outside my window. I scrolled back and reviewed an entire day of Facebook posts by family and friends. Was it that Grammar Girl post on the timeline?? No, unfortunately not. That post, about the origin of the phrase “the bee’s knees” had piqued my interest (I am an amateur etymologist/linguist), but it wasn’t the source of the IDEA. What else had I done? I’d looked through the paper mail that had arrived while I was traveling—thumbing through the latest Anthropologie catalog—loving the designs and disgusted at the prices, as usual. And I’d returned emails, connecting with 4 new people on LinkedIn and looking at a few “pins” that Pinterest friends had sent to me. I’d gotten the “Skye Boat Song” (with Stevenson’s poem/lyrics) stuck in my head while folding laundry. I ran over the song slowly. “Sing me a song of a lad <thought> that is gone…” Nope. Nothing. After sixty minutes—a full hour of anxious searching—I began to resign myself to the truth. I imagined it floating over my head, like a person near death—having left his/her body—hovers over the living. It wanted to return, I knew. But I couldn’t save it. Because I couldn’t see it. Couldn’t identify it. Couldn’t reach it. Couldn’t pull it back. Looking back, I, of course, know that I should have stopped what I was doing. I should have halted in the middle of preparing that very important expense report and made a note of the IDEA. I usually do just that, but, for some stupid reason yesterday, I didn’t think I would forget. I’d lost ideas before in much the same way. I’d had “eureka moments” that slipped away into nothingness—fell victim to my busy life and cluttered mind. And after those losses, I’d researched the best practices in capturing ideas and vowed to always carry a notebook, always write down dreams immediately upon waking, and always record an idea the moment that it occurred. And I’d kept those vows each time…for a time, at least. Thankfully, it’s also human nature to begin again. We learn from the past, but we move toward the future. I do regret losing you, IDEA. I will endeavor to remember the loss of you each time the lightbulb of creativity gifts me with the impulse of a new IDEA. I swear to you that, when that moment happens, I will turn away from commonplace duties and give my full attention to the writing magic. I will heed the call of the muse over the call of the mundane. Promise. Cross my heart. Unless, you know, I forget…. I like to tell stories about how I read voraciously as a child. Even when I put down my current book to eat breakfast or lunch, I would find myself searching out the words on the cereal box or the mayonnaise jar. I read everywhere. All the time. I couldn’t stop. It was a torture to me that I was subject to motion sickness during the long car trips my family made between Illinois and Canada and I was forced to read signs and mile markers and license plates and bumper stickers instead of books. I’m grown up now (at least in years) and my addiction has grown to monumental proportions. It isn’t just reading that marks my “illness” now, but the thousands of physical books that I own. You see, I’m not just one of those crazed readers who consumes the NY Times Bestseller list in as few bites as possible or who belongs to some snooty book club who dissects literary one-hit wonders to the point of college literature class torture. I do, indeed, read, and I sometimes I even read e-books– (gasp!). But the book that earns a permanent spot on my shelf must have one exceptional quality that most new books lack. I must want to re-read it. Not immediately. Not for a special purpose. Not necessarily for research or inspiration—but simply because the writing drew me in. It took me to someplace new. The words made me feel and care and escape. Perhaps the writing wasn’t perfect, but there was something…some intangible magic that was called to life as I read, like a Pagemaster-y Inkheart-ish enchantment. I am forever searching for the story that has the capacity to ensorcell me again and again and again. What books are on my shelf? So many, my friends, so, so many. Jane Austen, J.R.R. Tolkien, George Orwell, Lois Lowry, Christian Jacq, Garth Nix, Victoria Holt, Neil Gaiman, Suzanne Collins, Madeline L’Engle, C.S. Lewis, Philippa Gregory, DuMaurier, Irving, Bronte, Stoker, George R.R. Martin (damn him! ), Thackeray…the list goes on and on and on…new authors, old authors, young authors, dead authors. And, as I’ve grown older, I’ve found that it isn’t just fictional stories that can transport my spirit, but poetry, nonfiction, history, and even just fantastic illustrations. I own an extensive collection of Elizabethan history books including antique first edition biographies of Elizabeth I. 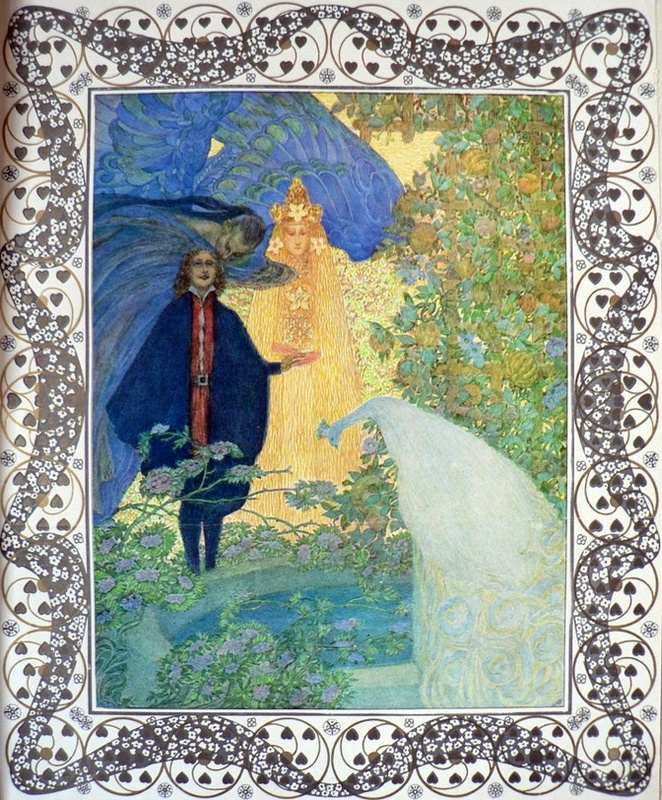 And I’ve become a collector of fairy tale books of all kinds—particularly old volumes with illustrations from the so-called “Golden Age”—Arthur Rackham, Caldecott, Greenaway, and Dulac are among my favorites (I recently acquired a copy of the Hungarian “Csoda Album” illustrated by LEFLER AND URBAN…so amazingly beautiful, sigh…). I’ve also become enamored with Edward Gorey’s offbeat art and stories. And studies of world mythologies (Joseph Campbell’s The Hero With a Thousand Faces) and Victorian cemeteries and asylums have all earned a place in my personal library, as well as books on the art and craft of writing and the history of language. I have over 2000 books on the shelves around me as I sit at my desk writing. All of these books mean something to me. I can pull any book off the shelf and know that it is a worthy companion. The physicality of the book is part of its relationship to me. It’s a little like the difference between hugging someone in person and sending them a little “*hugs*” message in an email. I don’t read or collect books in the way that some individuals “friend” others over social media. I’m not just gathering the largest pile possible or reading to keep up with pop culture. I have read the words, pondered and processed and daydreamed about the content, closed and opened the cover, reveling in the weight and thickness/thinness of the pages, and followed the trail of thought to the author’s last word or the artist’s brush to the final colorful stroke of expression. I recently packed up my library and moved to a new house in a new state hundreds of miles away. Books are heavy, friends, very heavy. And packing and then unpacking and reorganizing my cherished collection in a new, smaller space has been challenging. After I mentioned this to someone in my extended family she asked why I just don’t buy electronic copies of my books. I tried to explain but she shook her head, obviously not understanding. I think she felt sorry for poor book-addicted me–as so many other, practically-minded people do. And we feel sorry for them, don’t we? Avoid Muse Envy: Woo your Creative Soul! Valentine’s Day is a wonderful event for lovers. Roses, cards, candy, and starry-eyed glances are the order of the day. But what if you’re a solo act? Or you and your romantic partner are in the midst of a nasty spat? The entire day feels like a waste, doesn’t it? It seems like everyone in the world is “in love”…except you. There are some writers who always seem to be in tune with their inner muse. They appear to enjoy a veritable fountain of ideas and frequently share daily social media updates detailing the number of poems they’ve composed or how many thousands of words they’ve added to their novel. While speaking at writing conferences they bemoan having to choose between two amazingly inspired plot ideas and speak of shoeboxes filled with future projects. I can only think of one word to describe these individuals…. At least, that’s how I feel when my own Muse is nowhere to be found. She’s off somewhere for a “Muses’ Night Out”—partying it up with some F. Scott Fitzgerald or Kate DiCamillo full-time author in a published book-filled office in some idyllic, remote New England farmhouse! Grrr… Meanwhile, I sit cold and idea-less in my uncomfortable chair, hands hovering over the laptop keyboard like a frozen concert pianist. Why can’t I think of anything? I scheduled this one hour block of time at the end of a long day at the office in order to nurture my creative writing self—why is my Muse AWOL? I felt guilty. I thought of all the small ways that I had alienated my Muse. If only she would come back to me! I’d never take her for granted again! The next day, while riding home on the train, heavy snowflakes began to fall. We pulled into the first station stop and I noticed a woman in a red coat trudging through the snow. She had an enormous blue stuffed animal strapped to her back. Its long arms and legs bounced with each step she took. ???? Where is she going?? ?And why…? Hello, my Muse! Let me pull out my notebook…there! Now, what was that you were saying? I’ve read Charles Dickens’s “A Christmas Carol” at least twenty times and I’ve seen nearly every film and television version of the story, from the first silent movie depictions to Disney’s most recent CGI-animated monstrosity. I enjoy the 1938 film with Gene Lockhart as the perfect Bob Cratchit, but my favorite classic version is the 1958 film “Scrooge” with Alistair Sim. It is a masterful portrayal of the tale. Every year I hate Sim’s selfish and sarcastic Scrooge at the beginning of the story, yet am somehow drawn to him and his cynical loneliness. I then laugh when he dances around and frightens Mrs. Dilbur after his conversion, and, finally, cry when he sincerely apologizes to his nephew Fred and Fred’s fiancee. But the version most enjoyed my entire family is “The Muppet Christmas Carol” with Michael Caine as Scrooge, Kermit as Bob Cratchit, Fozzie Bear as Old “Fozziewig” and Gonzo as the narrator–Charles Dickens himself. You might be surprised to find out that, lyrics and musical numbers aside, much of the dialog and narration in the Muppet version is drawn word for word from the original published text. Watching the Muppet “Carol” I heard, for the first time, the line that Scrooge speaks to Marley’s ghost, “..there’s more of gravy than of grave about you…” Many of the other film and television productions cut that line (and others) attempting to enhance the seriousness of the story. Consequently, some of us have forgotten (or perhaps never even knew) that Dickens wasn’t just an insightful and brilliant writer, he was funny. I believe that the reason the Muppet “Carol” is so successful in telling the true tale is that it portrays both the silliness and the seriousness–just as Dickens himself did. Watching the Muppet “Carol” we feel the hopeful joy of the Season and lament the sickness of greed and the tragedy of poverty. We see the dirt of old London and feel the cheer of a “Merry Christmas” between friends. The Muppets make us laugh and cry. Dickens himself would have been pleased. “A Christmas Carol” has always fascinated me because it is the story of a character transformed–his cold, unhappy world suddenly filled with warmth and love. As a writer, I am in the business of telling the stories of characters who change and grow into better, happier, or at least, wiser, beings. And, since I want my writing to ring true, like Dickens’s, like life, I won’t forget that there are tears and laughter. Thank you, Muppets. Merry Christmas. If Jane Austen and Charles Dickens had a baby…Middlemarch! I hated Middlemarch the first time I read it. There, I’ve said it. Now I can move on–thank goodness. The first time I read Middlemarch, I was very young. Still all aglow from reading the complete Jane Austen, I had dabbled in Dickens without much enjoyment (excepting A Christmas Carol) when a wise professor recommended Middlemarch. I dove in…and immediately fell in love with the high-minded Dorothea Brooke. She was a kindred spirit! I, too, felt myself “a cygnet among ducklings”–don’t we all, at some point in our lives? I read the beginnings of Dorothea’s story with a kind of rushed rapture. She was so passionate and thoughtful–a girl/woman breaking the bonds and conventions of her time–wait! Why is George Eliot writing about all of these other people? Writing a lot about them, too. Smells like Dickens! I want Dorothea…turn the pages…okay, okay, I’ll read about Lydgate…and Rosamund…and Mary and Fred…but what’s all this about politics? Yuck! And pages and pages about boring peripherals: theology, drunks, farmers, clergymen! I hurried my way to the end of the book, judiciously skipping some long-winded poo-poo, and prepared to be satisfied by Dorothea’s ultimate decision concerning Will Lladislaw. Instead, I found myself extremely disgruntled by the final passages detailing her future life. In fact, the happiness in the story seemed to have been the prize of the characters I had found most uninteresting! For some time after my initial reading, I found myself agreeing with others who professed a dislike of the book, sagely nodding my head, offering high-sounding comments about the didactic tone, etc. So haughty and über-intelligent, wasn’t I? Then, recently, I watched the BBC dramatization of Middlemarch. When the portrayal of Dorothea in that mini-series seemed to not quite match up with what I remembered from the novel, I recalled how differently I now felt about Dickens and how much more I now knew about the Victorian Era and its literature. Had I misjudged Eliot, as well? Semi-reluctantly I pulled up a free online copy of Middlemarch and began to read–carefully. I still found it wildly complex and exceedingly long, but now the peripheral characters and stories seemed tantalizingly layered and important. I could see the irony and the sweet-and-sour poignancy of the myriad episodes that had once seemed banal, but now seemed to combine unusual psychological depth and realism. I found Lydgate to be (almost) as important to the story as Miss Brooke. And Dorothea herself? Not so perfect in my minds-eye, but somehow an infinitely more interesting character. Eliot’s work seemed a fusion of Austen’s sassy and/or ridiculous women and men and Dickens’s scope of vision (and word count!) elevated into a more truthful, less Disney-fied, and thought-provoking medium. Middlemarch: an extremely long but worthwhile Victorian literary mash-up/masterpiece. Don’t be a hater! It often happens that I become discouraged with the progress of my writing career. There are so many interruptions and distractions. After all, my writing hat is only one of many that I must wear–I am also a mother, a wife, a friend, an employee, a supervisor, a musician. Work deadlines, dinner menus, doctor’s appointments, bill due dates, sick pets, yard maintenance…they all do their best to interrupt my writing goals. But, as the real world tugs me this way and that, sometimes succeeding keeping me from putting words on the page for days on end, there are always signs to keep me on my true path–my writer’s path. Sometimes it is something as simple as a yellow finch singing outside my kitchen window as I mundanely wash the dishes. Proudly cocking his little golden head and hopping from branch to branch. What are the words of his song? Or, shuffling papers to search for a receipt at tax time, an old photo slides to the floor. My Granny. The sweetest soul who ever graced this planet, smiles out from a faded Polaroid. How I loved her laugh and her stories. How unconditionally she loved me! Other times a shooting star will streak across the night sky as I stand outside shivering while my dogs sniff around in the dark. Make a wish! Then my eyes connect the star-dots of Orion and I think of ancient times. Once, after cleaning the bathrooms (my most unfavorite chore) I saw a bald eagle fly past my bathroom window. I ran through the house in just a towel, following it from window to window, desperate to keep watching it until the last possible second. My heart thumping. Massive majestic bird. What is he doing here? Where is he going? Often when I’m singing, I forget where I am and who might be listening, and I am the song–the perfect words, the notes following one after the other like a bridge to something amazing. There’s magic in song. Magic in words. Magic in story. Forced to attend a tedious business lunch, I meet someone new and they tell a tale about their life–an amazing revelation of uniqueness where I had expected monotony. For the rest of the day I look at the other ordinary people around me and I wonder about their stories. The façade of an old building on a one-way street in the city. Gargoyles and supernatural beings, frozen in stone, beautiful ugliness, stare down over modern life. What would they say if they could speak? What if they came to life and walked among us? And my fingers begin to itch. I need pen and paper, a keyboard, a digital voice recorder. I need to write, to create, to pour it all out like an offering. And I do! Scribbling like mad on the train on the way home–laughing silently as I feel the curious looks of my fellow passengers. “What is she writing about?” they wonder. Everything! I am writing about you and me and everyone! Laughter and tears and war and wonder! The beauty of the ordinary and the secrets of the soul’s imagination. The next morning, I’m tired. I have a headache from staying up too late or being woken an hour before the alarm by two geese yelling at each other on the lake behind my house. No writing today. I can’t even think! Driving to the train, I turn down a road I’ve been down every work day for the last five years. And I catch my breath…. The road is lined on both sides with blooming pear trees back-lit by the red-pink rising sun. White wedding-dressed branches welcoming and waving me on as I drive slowly and drink in the loveliness of the picture. And I know I’m a writer today and tomorrow and every day until the end of my time on this planet. I don’t remember the first line of every book I’ve ever read. In fact, when I’m wearing my “reader” hat, I’m usually so eager to get into the story that I fly through those first words with shameful speed. That famous first line from E.B. White’s Charlotte’s Web always comes up in any discussion of perfect first lines. This first line from Neil Gaiman’s The Graveyard Book makes me shiver every time. How five crows managed to lift a twenty-pound baby boy into the air was beyond Prue, but that was the least of her worries. This longer first line from Colin Meloy’s Wildwood is one of my recently-discovered favorites. My name is India Opal Buloni, and last summer my daddy, the preacher, sent me to the store for a box of macaroni-and-cheese, some white rice, and two tomatoes and I came back with a dog. Masterful. Thank you, Ms. DiCamillo. When Mary Lennox was sent to Misselthwaite Manor to live with her uncle, everybody said she was the most disagreeable-looking child ever seen. The perfect first line of my beloved Secret Garden. But, as important as that first line is, it is the story that follows that really matters. The first line could be amazing, but if the story it introduces is a shovel of poop, it is a shovel of poop. If the characters are watery and the plot pointless and the dialogue trite and the prose moralizing and the setting ridiculous, then no amazing first line under the sun will make it a success. I recently read a self-published book with an amazing first line, but the rest of the book was a disaster. I won’t mention the author or the title. But it was not a quality effort (that’s polite code for a shovel of poop). That’s the first line of my new novel, Liar’s Song. I don’t mean to brag, but I think it does everything a first line should. First, it creates a half dozen or more questions in the reader’s mind: Who is speaking the line? How do they know that Bean has to pee? Who is Bean? Why can’t he speak for himself? And why is he named “Bean”? Why can’t Bean just go use the bathroom? Second, it initiates an immediate emotional or physical response. In this case, a snicker (“Hehe, “pee”! ), grimace (“Gross, “pee”! ), or perhaps a realization that the reader himself has to pee. It causes the reader to READ ON! And hopefully, I will deliver a plot and setting and dialogue and characters that are worthy of my first line and are NOT a shovel of poop. I was inspired by my friends at TeachingAuthors.com to write this post. And whose stories and songs and lives and dreams and emotions have inspired me the most? Who, or what, has earned my writer’s admiration? Well friends, fact is, I value the mythic insight of Joseph Campbell as much as the solid, loving truisms spoken by my own beloved Granny Bertrim. I recall the grand fantasy works of Tolkien, the novels of L.M. Montgomery, and the music of Andrew Lloyd Weber’s Phantom with as much pleasure as the tall tales of my Poppy, the childhood imaginings of my children, and 60’s folk music on the record player. Disney’s short and satisfying animated offerings are as large in my mind as the black-and-white cryptic majesty of “Citizen Kane”. And there are other, darker, harder memories that are a part of my writing mind, too, folks. Not everything is sunny kitchens and fairy tales. There were poorly-written best sellers I wish I’d never read, hate-mongering popular music I should have turned off, and tedious legalistic business communiques I was forced to plow through. With fresh mental pain do I remember the “C-” and scathing critique I received from my least favorite college professor, the cutting remarks of the horribly mean boss I had during a very difficult time in my life, and the forced cheerfulness of the dinner conversations during long weeks of putting butter noodles and cream of wheat on the dinner table in order to make college tuition payments. News stories of war and suffering often brought tears to my eyes, passing remarks of those around me frequently wounded like a knife, and unexpected change often brought uncertainty and instability just when I was least able to cope. I let the words pour out. And it is all me…the pain, the joy, the darkness, and the light. And so, I thank you. All of you. A couple of months ago, I purged myself of most of the way, way, WAY too many blogs I’d been following. The number of posts I received were overwhelming and I felt my own precious writing time being sucked away as I tried to do justice to the writing of others. http://eyespeeledalways.blogspot.com/ : Writer Karin Diamond’s powerful and inspirational chronicle of her amazing life as she battles Hodgkin Lymphoma. I found Karin’s blog after my own cancer diagnosis. Her words touched my heart and continue to help me immensely. http://www.teachingauthors.com/ : A creative, smart, and helpful blog by six children’s book authors who are also teachers. So many times their “Writing Workouts” have made me pick up my pen and have FUN writing. http://www.darcypattison.com/ : Fiction Notes by author Darcy Pattison is a comprehensive resource for any writer. Whenever I am in the midst of revising, Fiction Notes seem to provide just the right information. Three blogs is good, right? I can handle three. Three has symmetry. And I won’t be overwhelmed by posts. I will stick to three, I decided. And I thought…OMG, my inner writer self started a blog and didn’t tell me about it! Subscribe, subscribe, subscribe! Since then I have faithfully read every post by this amazing writer. Her struggles seem to precisely mirror my own. I love, love, love this blog! Honestly. It was funny, inspiring…and…oh no! Now I’ve subscribed to her blog! But there is no symmetry in 5! And I can already feel my writing time being sucked into a black blog hole! But, I can’t give any of these blogs up…I’m in control…right?